TCPA – Importance of logging calls – New South Florida case. The Southern District of Florida just ruled on a Motion to Dismiss on October 13, 2015 in a TCPA case that more is necessary to properly allege a TCPA case. The Court stated: the Plaintiff cannot plead, in blanket terms, that she is entitled to statutory damages for each and every violation”, yet not plead the number of calls, when the calls occurred, and/or the content of the calls received. The Court ruled that blanket non-specific allegations do not place the Defendant on notice as to the claims that are being brought against it. Case dismissed unless the consumer has more information and can amend their complaint to state some specifics. Don’t count on relying upon getting records at some later date from your cell phone provider. 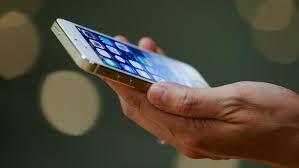 Cell phone records from a cell phone provider are sometimes only retained for a few months, often do not record unanswered calls, and lastly are not available unless you can subpoena them (but you first have to survive a motion to dismiss by having specifics of some calls). So keep a handwritten log. Take screen shots. Save voice messages. While we do not need the date and time of every call, it is clear that we need to allege some dates, some times and the content of the calls whenever possible. We ask our clients to log date and time of as many calls as possible and make a written record or note of any calls where the request to stop calling the cell phone are made. We ask our clients to revoke consent multiple times and multiple ways (phone, fax, U.S. mail). Remember violations of the TCPA come with strict penalties of $500-$1500 per call. You do not have to pay costs or fees up front and until there is a recovery. If you or anyone you know is being harassed by calls to their cell phone, please contact Christie D. Arkovich, P.A.